Soaring prescription drug prices aren’t just an economic or policy-making puzzle, they’re also a constant nightmare for millions of Americans, whether their conditions are common, chronic, or rare. The burden of high drug costs weighs most heavily on the sickest Americans. Drug makers have raised prices on treatments for life-threatening or chronic conditions like multiple sclerosis, diabetes and cancer. In turn, insurers have shifted more of those costs onto consumers. Saddled with high deductibles and other out-of-pocket costs that expose them to a drug’s rising list price, many people are paying thousands of dollars a month merely to survive. Thomas, Ornstein, Barbara Feder Ostrov, and Jenny Gold all deserve credit for driving home in their stories for, respectively, Pro Publica and Kaiser Health News, the huge human toll of Big Pharma’s relentless profiteering. Thomas and Ornstein tackle prevalent and chronic conditions — including diabetes, multiple sclerosis, cancer, heart disease, and, yes, pinworms — detailing how eight patients and their loved ones struggle to pay for drugs to treat their ills, and how medical finances come to consume their lives. Ostrov and Gold, meantime, focus on the plight of families with youngsters suffering from rare diseases. They focus on how Medicaid especially helps boys born with hemophilia, the inherited disease in which patients’ blood fails to clot correctly, and they may bleed severely from slight injury. Drugs now can not only prolong hemophiliacs’ lives but make them near normal for many. But hemophilia medications, derived from biological (live) materials, require extensive resources to make — meaning Big Pharma charges for them, big time: California, through Medi-Cal, pays $21 million annually for drugs for just one covered hemophiliac boy (whose identity is protected by patient privacy laws). 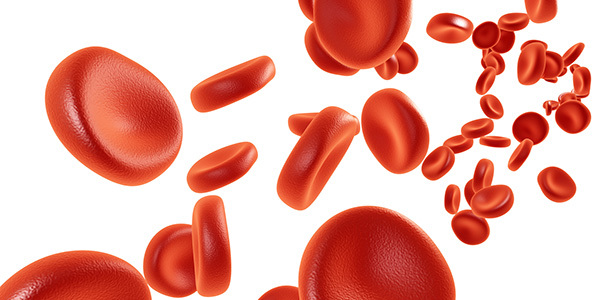 Gold reports that the average cost for hemophilia drugs runs to $270,000 annually, though complications easily can push patients’ medical care to more than $1 million. In my practice, I see not only the major harms that patients suffer while seeking medical services but also how hard they must scramble to access and afford quality, safe medical treatment, including exorbitantly priced and sometimes dangerous drugs. President Trump, after making bold statements and then meeting with drug company CEOs, has gone mostly silent on how his administration would rein in drug prices. Trump has claimed that Alex Azar, a former drug executive and now the Health and Human Services chief, will play a big role. Azar hasn’t moved on drug prices as fast as many cost-strapped patients would wish. To his credit, he has surprised critics by being more patient-friendly than expected, for example, with his officials telling Idaho that it can’t defy the law of the land — the Affordable Care Act, aka Obamacare — with its extreme plans to offer insurance that doesn’t comply with the ACA, and to gut Medicaid. He also has ripped hospitals at a meeting of their executives for running pricing games with insurers. He told hospitals he will pursue value-based care and price transparency for patients, recalling his own experiences with a heart test. It might have cost him $550 in his doctor’s office, but he, instead, was sent to a hospital. There he was told the procedure would cost him $5,500, which he disputed until told he would be charged an insurer-negotiated rate of $3,500. Meantime, at the federal Food and Drug Administration, Commissioner Scott Gottlieb — a onetime doctor with deep ties to Big Pharma — also surprised critics with his blast at the industry, its middlemen, and insurers for “Kabuki drug-pricing” ploys that boost profits at patients’ expense. He argued that the FDA, patients, and their advocates keep pressing for lower-cost alternatives like biosimilar and generic drugs, only to find Big Pharma jacking prices up on these, especially due to practices of pharmaceutical benefits managers. PBMs are middlemen who purportedly negotiate on behalf of big employers, insurers, and drug makers to reduce costs. They do so by battling over coupons, discounts, and establishing formularies — lists of “approved” drugs and their prices. Their profit margins have made them sufficiently alluring that deals for them keep occurring, with the latest being Cigna’s agreement to buy Express Scripts, the biggest PBM, in a $52 billion deal. But Gottlieb warned Big Pharma to clean its act up — or others will step in. That might be Uncle Sam. It might be insurers, as he noted that the insurance giant United Healthcare has decided to rebate directly to its customers, particularly in its high-deductible plans, any rebates it negotiates with drug makers. That cuts a key source of PBM profiteering. As for generic drugs and their big price hikes, it may be that expanding investigations in the criminal and civil justice systems will lower costs and change industry practices, NPR reported. These are all good steps. But all of us, especially those savaged daily by Big Pharma’s price gouging, need to keep pushing to end this corporate avarice.